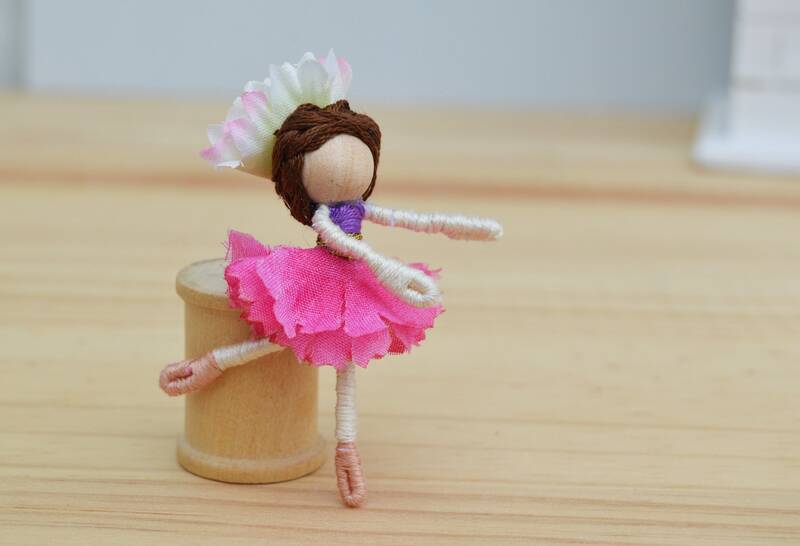 Meet Laura, a one-of-a-kind miniature flower waldorf ballerina doll ready for a fairytale adventure! - Dressed in: gold, white, purple,and pink. 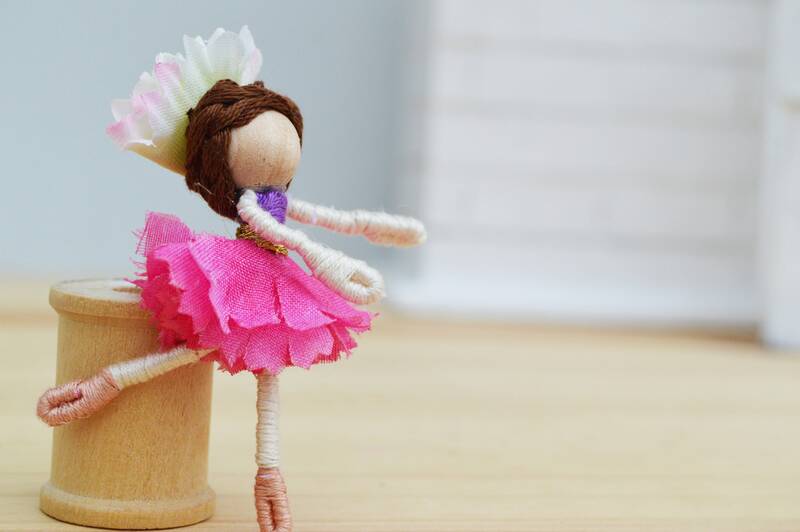 - Materials used: faux flowers. 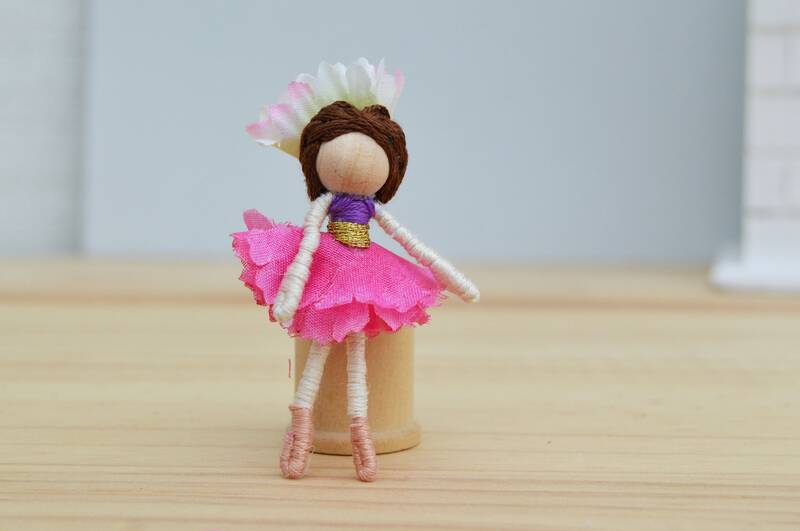 A ballerina fairy doll pocket companion, a fanciful decoration for your ballet or fairy decor, or for gentle imaginative play. 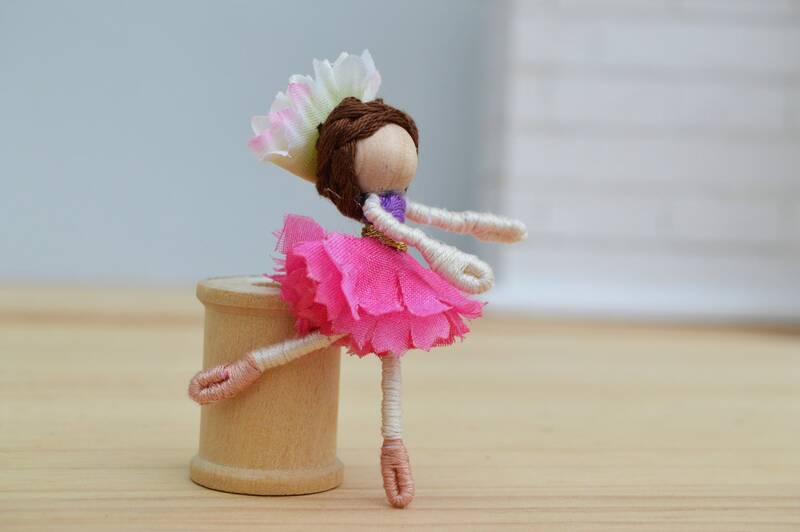 My fairy dolls are made from a wire body that I wrap with cotton floss and a head that is made with a natural wooden bead. 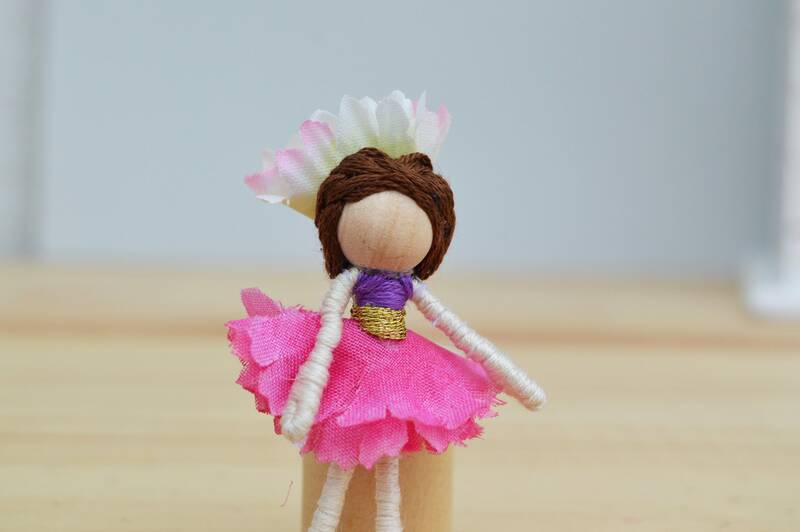 I choose a variety of materials to dress my fairies: faux flowers and leaves, natural feathers (or dyed) and recycled polyester felt. 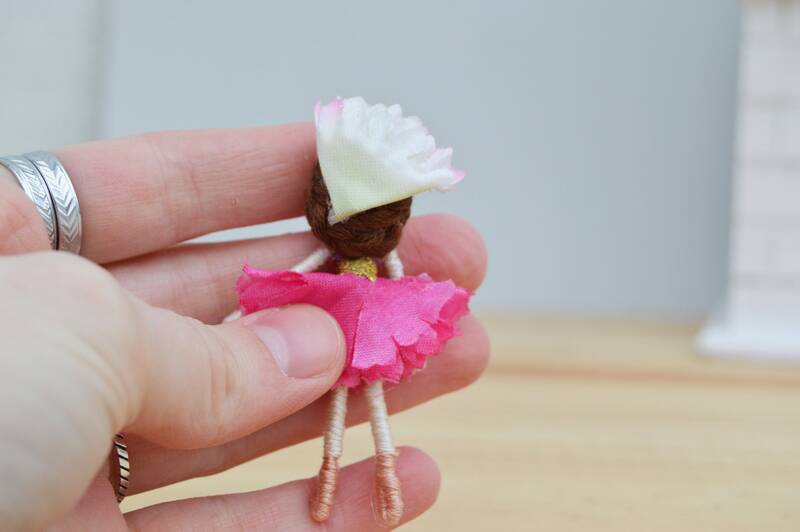 They stand the small height of just 2 inches, the perfect size for a miniature fairy doll.